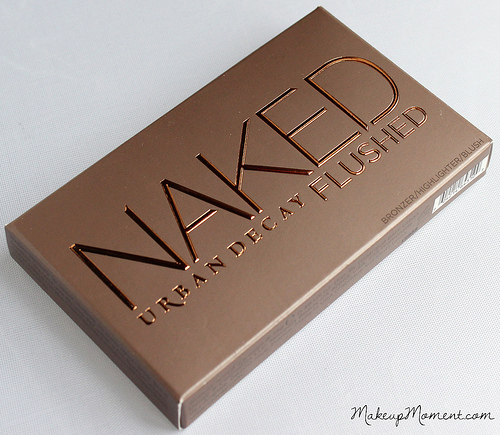 Urban Decay certainly doesn't disappoint when it comes to their Naked line of products. I own the original Naked eyeshadow palette, as well as the Naked Basics eyeshadow palette, and I can honestly say that they have become products that are constantly incorporated in my beauty routine. In other words, they have become reliable essentials that I find difficult to be without. Today, I am going to be sharing with you all the latest addition to my Naked arsenal-the Naked Flushed Palette ($30.00). While shopping at Sephora a few weeks ago I thought it was about time that I familiarized myself with this fancy looking face palette, since it has been getting tons of glowing raves and reviews all over the beauty community. Urban Decay's Naked Flushed Palette contains all the essentials you need to add color, radiance, and definition to cheeks-a bronzer, highlighter, and blush. The compact is very sleek, lightweight, and includes a nicely sized mirror for easy, on-the-go application/touch-ups. Bronzer: This bronzer is a nice balance between warm and cool, so I am sure that it will be quite flattering for many. It contains very fine micro-shimmers that blend right in and are subtle looking on cheeks. I love the light warmth this adds to my complexion. Highlighter: I am usually drawn to highlighters that are on the golden end of the spectrum, but I was really intrigued with this frosty pink one. This gives a pretty glow to the top of cheekbones and it compliments the accompanying blush and bronzer in the palette beautifully. I will say though that the shimmer content is pretty heavy in this therefore, a little goes a long way. Blush: This satin, rosy pink blush is just too fabulous to not love. It adds the prettiest pink flush of color to the cheeks. Love it! 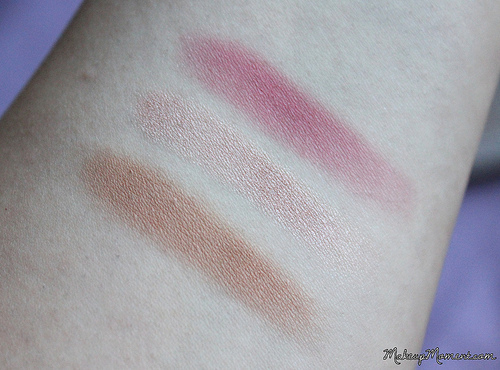 The texture of all three powders are just lovely. They are smooth to the touch, and they all blend like a dream. The pigmentation on these leave nothing to be desired. Each are easily buildable, and not overbearing on. You really can't mess up with these, as they are hard to overdo. 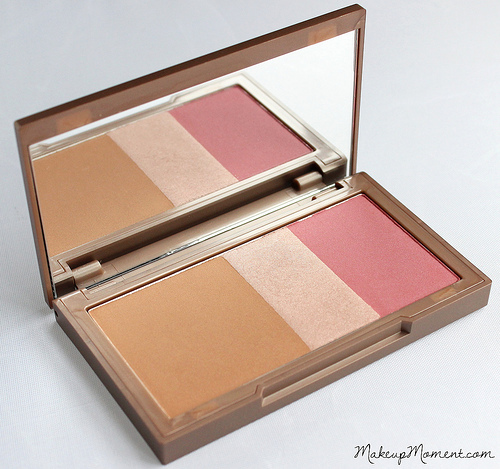 When it comes to longevity, I notice that the blush and bronzer have faded a bit by the end of the day. Keep in mind that I do have oily skin, which I am sure is the culprit for the fading. Normal and drier skin types may fare better with lasting power than I did. Overall: Although the lasting power wasn't the best for me, the pros heavily outweigh the cons when it comes to this palette. The texture of the powders is great to work with, the colors are beautifully soft and wearable, and the radiant natural looking finish is a major plus. If you are on the market for a product that helps easily achieve cheek definition and color without the guesswork, I think Urban Decay's Naked Flushed palette is a product that is definitely worth a closer look. 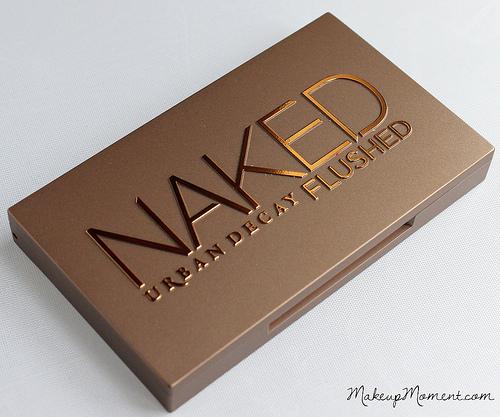 What do you think about Urban Decay's Naked Flushed Palette? This looks awesome! I love the color of the highlighter and blush, they look so pretty! Ohh I'm loving this. I'd have to try this in person but so far the bronzer is looking on the light side. Which is good for me since most tend to go orange on me. Great buy, thanks for sharing. I know what you mean about orange bronzers-I am not really much of a fan of them myself. I am ecstatic that the bronzer in this palette doesn't look orange on me :) If you decide to try these powders out, let me know how you like them! This palette looks lovely! Perfect for travelling!